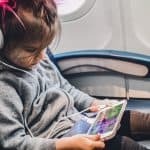 It's summertime and parents are racking their brains for new ways to make the outdoors even more exciting. Keeping kids' imagination alive even when you set them free in the outdoors is important. 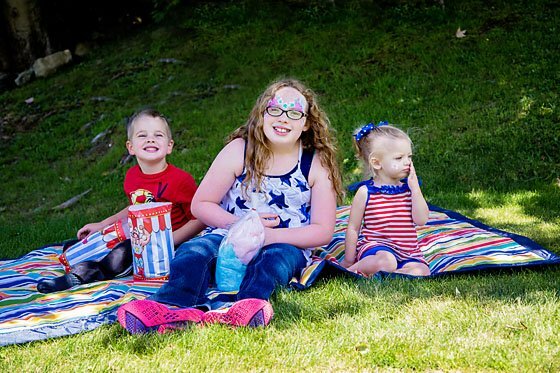 Kids want to be in the outdoors soaking up the sun, while parents want to keep them cool and safe. 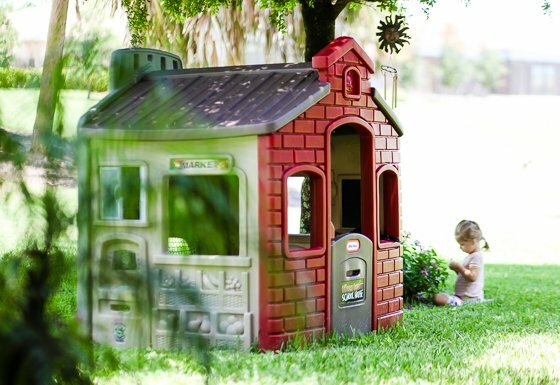 Outdoor play centers and interactive toys make a great addition to any yard and we've rounded up some of our favorites to keep your kids having fun summer after summer. Do your kids love to play in the water as much as our kids do? 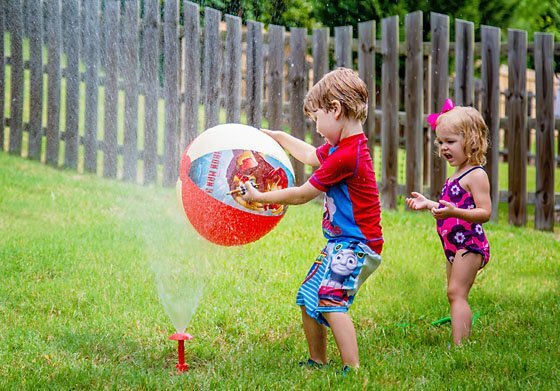 This fun and engaging sprinkler toy by Swimways is perfect for keeping your kids cool on a hot summer day. Kids of all ages will love to grab and toss around the inflatable beach ball featuring Disney Pixar Monsters, Inc., Disney Princesses, or Marvel's Iron Man. 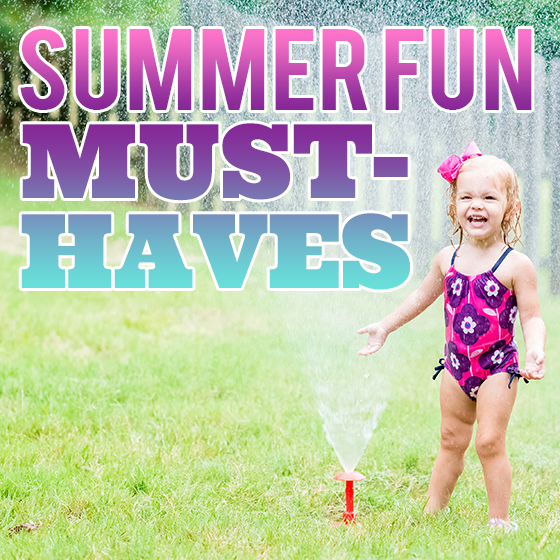 The sprinkler hooks up easily to any standard backyard water hose. 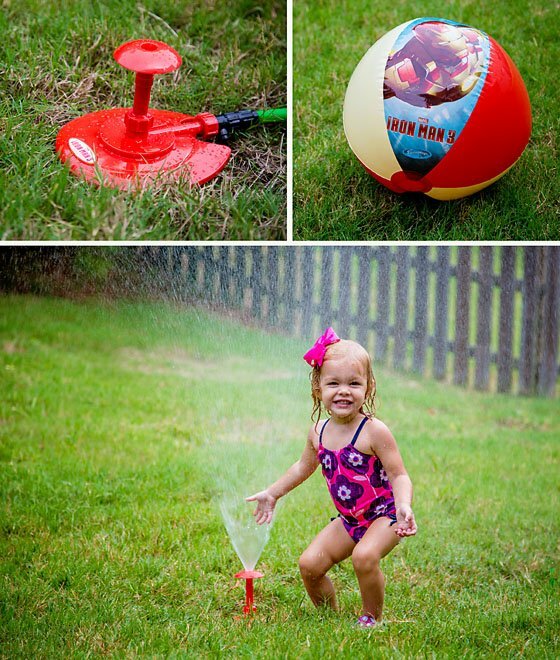 Just inflate the beach ball, connect your water hose to the sprinkler, and let the fun begin. The uniquely designed funnel shape fountain spins the beach ball in the air. Even without the ball, your kids will have a blast! 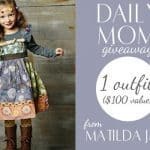 Choose from 3 styles: Monsters, Inc., Disney Princess, or Iron Man. Inflatable beach ball included for use with the sprinkler and other play. Toddlers love sensory play, and two of the most simple, most accessible, and most child-loved materials for sensory play are sand and water. This Sand & Water Table from One Step Ahead combines the best of both worlds, with two compartments that can be used in whichever manner your child chooses - fill one with water and the other with sand, fill both with water, or fill both with sand - the choice is up to your little one! This compact sensory table is perfect for parents looking to save some space in the yard or urban parents looking for a reasonably-sized sensory table for their toddler. 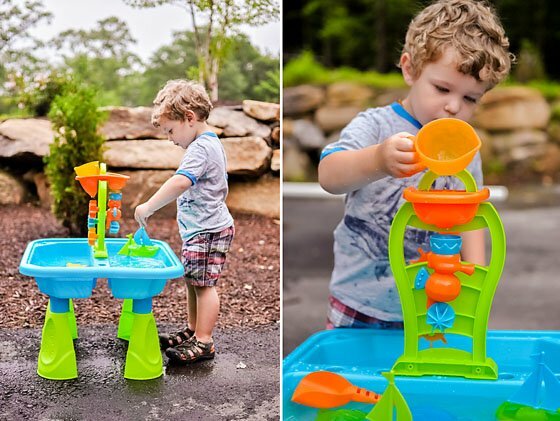 And don't let the compact size fool you - this brightly-colored sand & water table packs a punch with a wide variety of toys that make the most of sensory play with both water and sand. From sailboats, to a shovel and rake, to sand molds of a crab, turtle, and teacup (each with holes in them to let water sprinkle out), to a tower with water wheels (and even a lid! ), your toddler will need nothing more than some water and sand, and this table will provide hours and hours of joy. This is the only sensory table you'll ever need! Kids will spend all summer long splashing in this pool! The interactive features of the Dinoland play center make it a lot of fun for children to play and parents to watch. 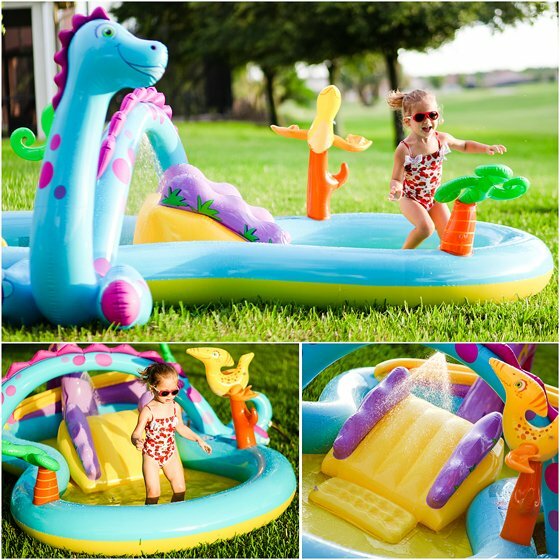 Easy to blow up and assemble, quick to fill and a breeze to store, this pool will surely bring a smile on your child's face whenever they see it. Kids will beat the summer heat, while the miniature palm tree sway in the wind and a real waterfall sprays them down as they slide down to the water using the pint sized slide. There is even a landing mat for extra padding. Outside play time will be even more imaginative as kids toss colorful balls into the hands of a happy hungry dinosaur. As parents we love this exciting play center because it is deep enough to have some real fun, yet shallow enough to keep them safe. 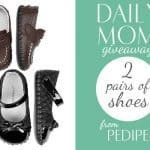 Parents will even enjoy getting their feet wet too! Water Parks are a great summer activity, but tickets can be costly and the outing itself can be exhausting. 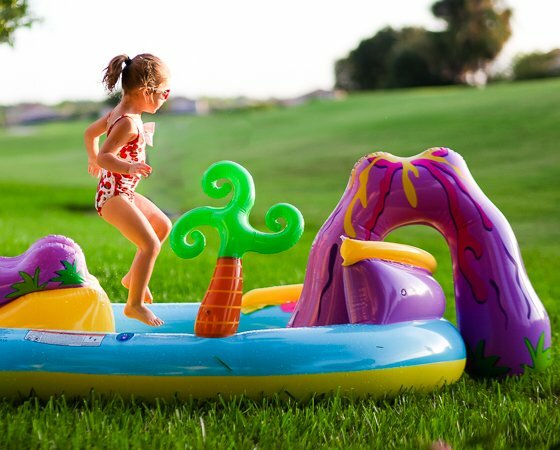 Enjoy water slide fun right in your backyard with an inflatable slide! We really love the Little Tikes Slam 'N Curve Slide which is perfect for children of almost any age. 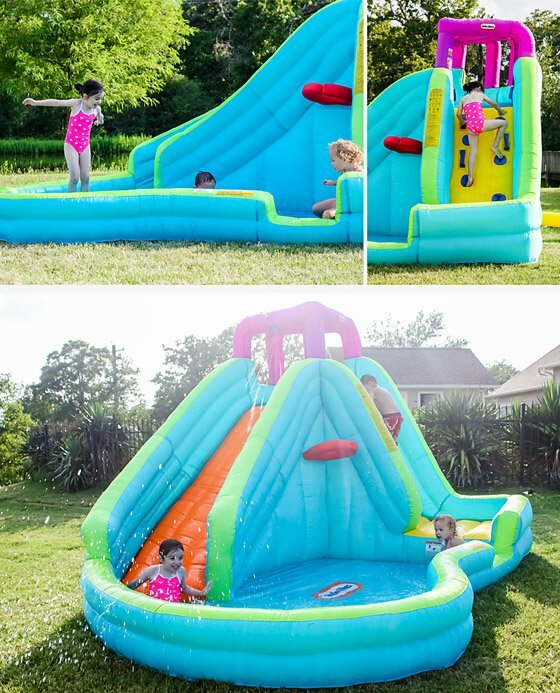 The climbing wall and curved slide, along with the splash pool and basketball hoop and ball, make this slide a fun way to stay cool in the summer. A step-down in the side wall makes for easy access in or out and allows smaller children to enjoy the pool area even if they are not yet old enough to climb the wall and slide. Instead of renting inflatables at your child's next birthday party, you'll have this awesome water slide ready to go! 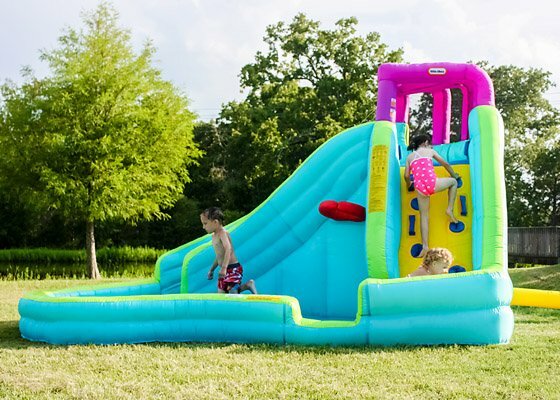 Perfect for backyard parties or just everyday play, the Slam 'N Curve Slide is perfect for children (and adults). You can even cool off in the pool area and soak in the Vitamin D while your kiddos splash around you! 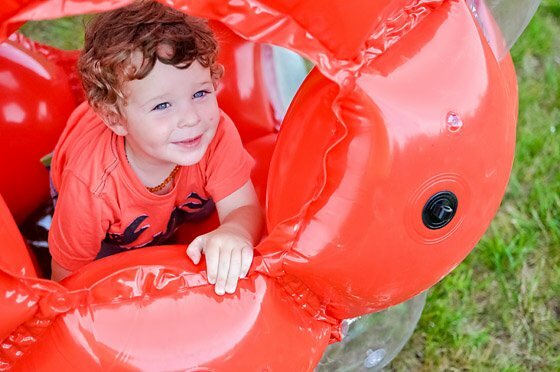 The slide is easy to clean and folds compactly into the included storage bag, and is easy to set up and inflate so that you can enjoy splashing and sliding anytime! Simply spray off any dirt and grass that accumulates in the pool area, allow it to air dry, and pack it into the handy and durable storage bag for storage or transport. When you're ready to play again, set up the slide and flip on the blower. 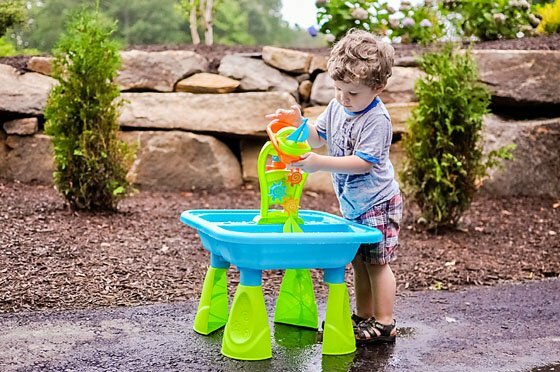 The Little Tikes Slam N Curve Slide will provide hours of backyard entertainment and is surely a necessity if you're looking to keep cool while playing outdoors in the summer months! 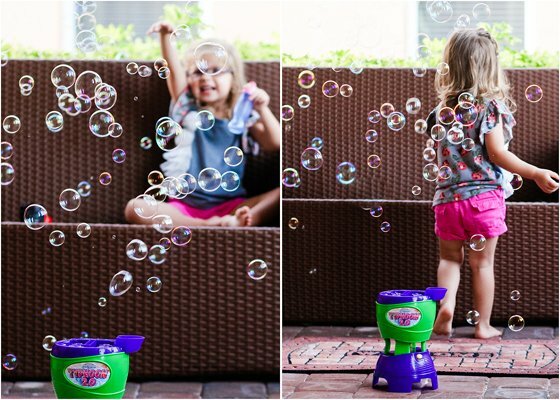 Children will be ecstatic running around in a sea of bubbles all summer long with the Gazillion Bubble Typhoon 2.0. This nifty little toy blows over 5,000 bubbles per minute using Gazillion premium bubble solution. 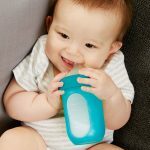 Included with the toy is an 8 ounce bottle of the solution that fits into the machine for auto loading. It saves parents the energy of blowing bubbles and leaves their hands free to enjoy the typhoon of bubbles with their children. 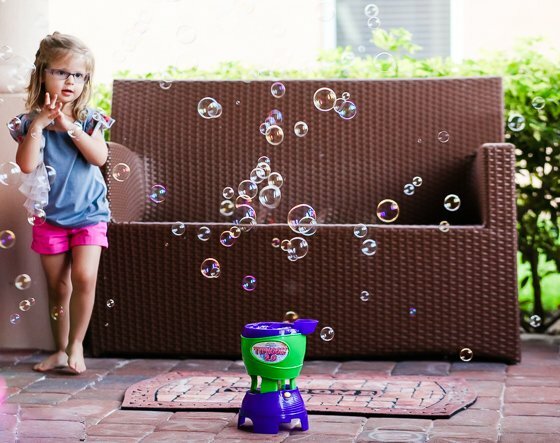 Kids will go crazy over the constant stream of perfect bubbles in the air at the same time. A great toy for summer parties in the outdoors, as well as an evening bubble blowing family event! You've never seen a toy like this before, and it will absolutely, without a doubt, knock the socks off your child! 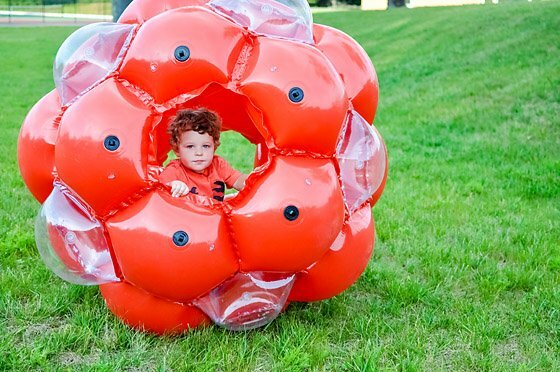 One Step Ahead's gigantic, uber-whimsical Honeycomb Roll N' Play Inflatable Ball is something out of a child's dream. The size of this ball will eclipse even the biggest child, and your little one will have hours upon hours of fun rolling this ball around your yard, from both outside the ball and inside. That's right - your child can play inside the ball! Two portholes are available for your child to crawl right inside, and there are ten windows so he can see out (and you can see your child inside too! ), plus two interior handles. The exterior features several loops that can be used to tie the ball down when needed. This toy is perfect for when friends come over for a play date, and the children can take turns pushing and rolling inside the ball. Don't worry about this inflatable ball popping during rough play - it's made of heavy gauge vinyl that can withstand whatever your kid can dish out. And because this remarkable toy is inflatable, it provides a soft landing for your child when he is tumbling around inside. If we could describe this toy in one word, we'd pick: laughter! There will be loads of endless giggles when your child plays with this honeycomb inflatable ball! 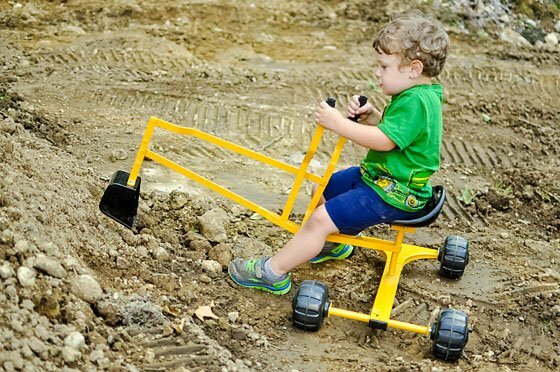 Every construction-obsessed toddler needs this Sand Digger Scoop 'n Swivel Backhoe Sand Toy from One Step Ahead. If your little one loves machines, trucks, and vehicles of all kinds, this digger will absolutely blow him away. One Step Ahead has created the ultimate sandbox toy for the construction enthusiast. 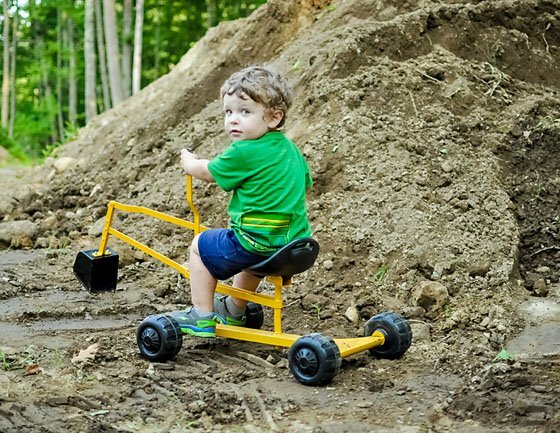 This digger is lightweight enough for your toddler to be able to easily scoop dirt and sand with the hand controls, but heavy-duty enough for him to feel like it's a real machine. Your toddler will love the swivel feature that allows him to spin the seat around while controlling the scoop bucket at the same time. 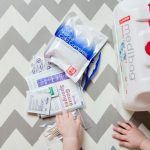 The scoop bucket is very simple to use: one handle controls the height of the scoop, and the other moves the scoop in a digging motion, which is simple and easy for toddlers to figure out. 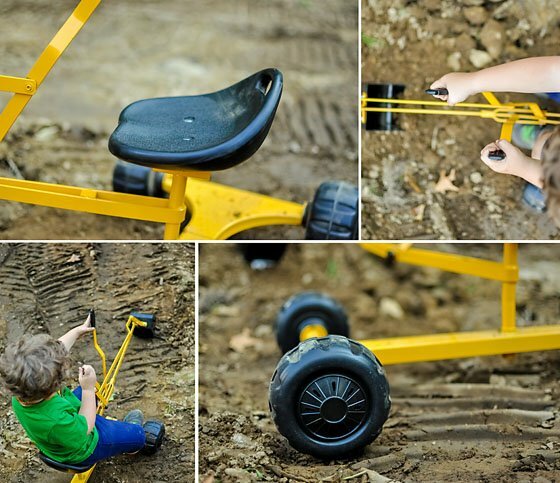 Four wide plastic wheels make this backhoe perfectly maneuverable in even the largest of sandboxes, and most of all, a whole lot of fun. No corner of the sandbox will go unturned when your little construction worker digs holes and makes dirt piles with glee. Our Daily Kid tester has even asked to skip breakfast every day in favor of playing with this mini backhoe, which is really saying something! 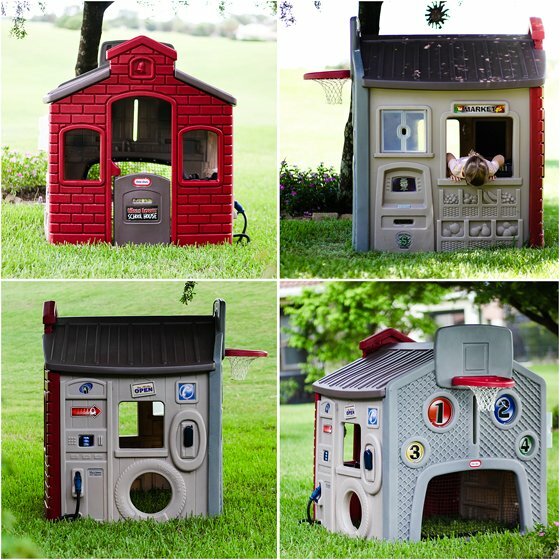 This is an innovative playhouse that allows the imagination to run wild with limitless role playing. The playhouse features four walls with different themes and detailed shapes and objects molded into them. The schoolhouse/firehouse wall comes with a table, chalkboard, and an open-and-close door. Boys (and tomboys!) will love the sports wall with a sports ball and basketball hoop, a sports net and targets for game playing. There is a gas station wall, which includes a gas pumper and phone. There is even a grocery store/bank wall that has a drive-up window with see-through shutters, and an ATM machine. Within these 4 walls children can run around town and pretend play all day long. 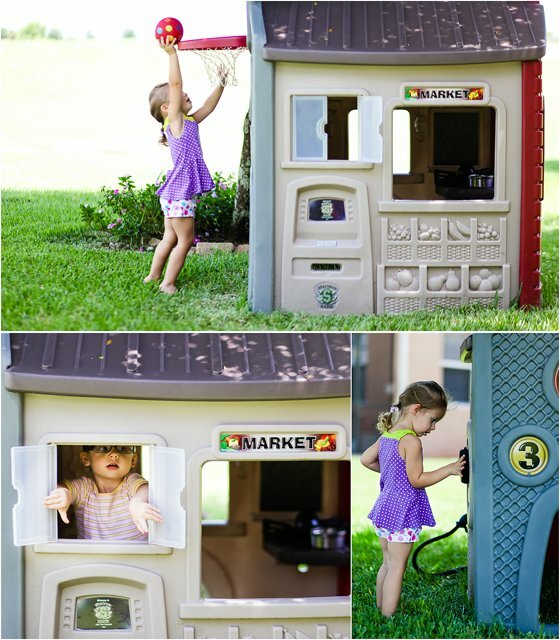 Parents will love this detailed playhouse because it is so versatile for all young children. It's not just for little girls to play house in, but boys enjoy it too. The playhouse is even great for babies because they can crawl in and out of the openings. 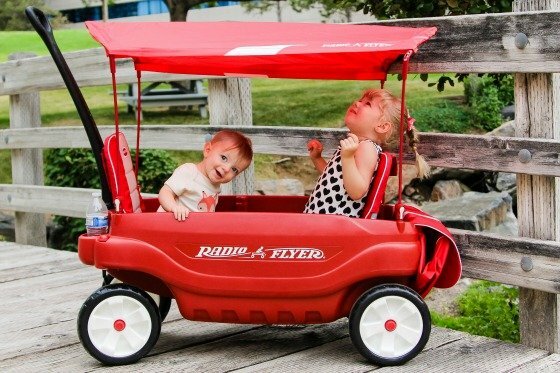 Tall and wide, it can be your child's favorite summer toy for years to come, yet won't take much room in the yard. Tuffo's innovative water-resistant blanket is ideal for numerous indoor and outdoor activities. 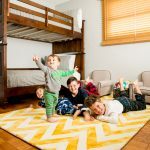 Whether you're playing by the beach, having a picnic, enjoying a ballgame, or just watching your children play, this extra large blanket is a must-have. We recently took it to the lake for a weekend and will be leaving it in the car for future outings. The rugged, durable, water- (and kid-) resistant polyester backing provides a little cushioning for when you must sit on a hard surface. 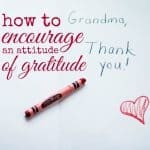 You'll also find that the fabric repels any mess your children make while snacking. 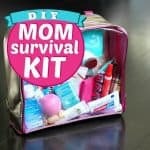 Just pick it up and shake it off, or throw it in the wash. Not only is it lightweight and compact for convenient storage and traveling, but it also includes a carrying bag with large storage pockets. The blanket is 54" x 84" and is available in a variety of print designs to fit any style. 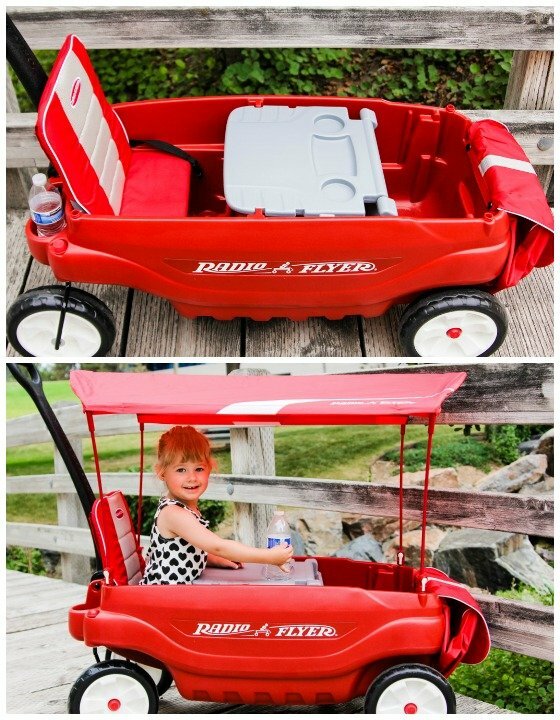 If your children become easily bored with outdoor play, instead of loading up the stroller to head to the neighborhood park, make it a fun family outing by taking the wagon instead! 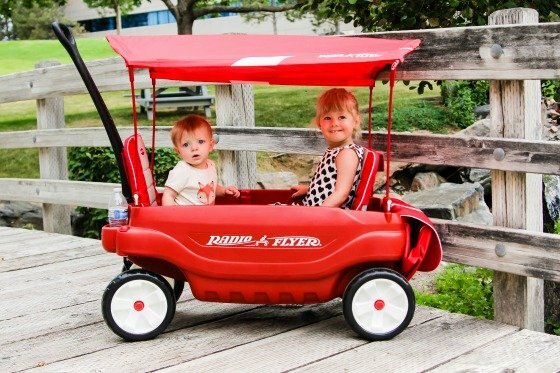 We absolutely adore the Ultimate Comfort Wagon by Radio Flyer, along with the sense of nostalgia that it also brings along with it into our childhood, and all the fun that having a wagon can bring. 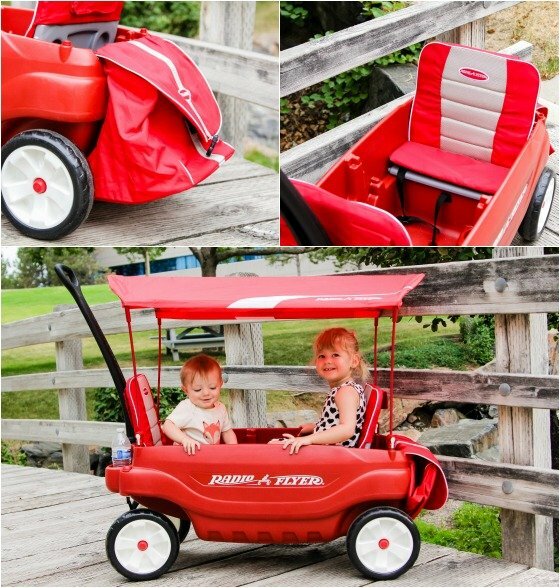 Gather up the kids and load up the best, most versatile and comfortable wagon on the market today and head over to your favorite park. 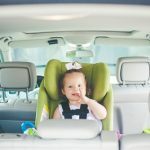 It will be loads of fun for them, and you can leave your stroller tucked away inside the trunk of your car. 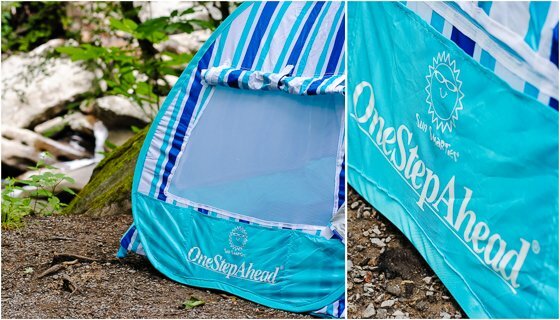 Whether you're heading to the beach or camping in the mountains, if you have an infant in tow you won't want to leave the house without the Sun Smarties Infant Cabana by One Step Ahead. Folding into a compact rounded 17 inch carrying bag, this beautiful cabana can easily be tossed into the back of your car, in your suitcase, or on your back for your convenience. 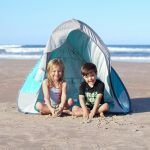 Once you arrive at your destination, simple remove it from its bag, and unfold it to reveal a large (39.5 L x 35.5 W x 35.5 H) and comfy tent for your little ones to safely relax in some shade. Made of UPF 50+ sun protection, you can rest assured that your little one will be protected while you're out and about in the sun. 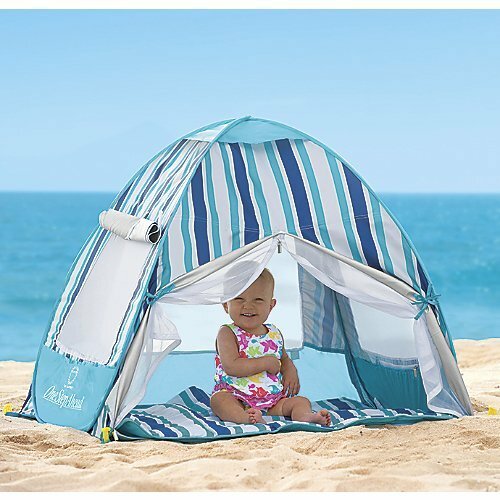 The Sun Smarties Cabana is ideal for nap time, discreet nursing, or just a cool-off place during long days out. Its interior mesh lining, 4 sides of air-flow panels, and ventilated roof are perfect for keeping the fresh air flowing in and the bugs out! It comes with 4 corner spikes for added stability, inner and outer storage pockets, and an inner loop to hang toys or a mobile. You'll want to take the Sun Smarties Infant Cabana with you on all of your outdoor adventures this summer! Summer time is about creating memories that last for years to come. It's about playing outdoors, getting dirty, and having good, old-fashioned fun in the sun. 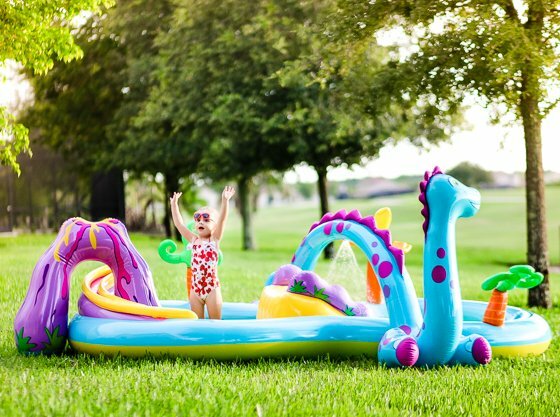 Whether you're child is playing in the sandbox, sprinklers, or an inflatable slide, they are sure to love and cherish the memories. From our families to yours, we wish you a happy and healthy summer. Photo Credits: Ashley S., Cookies for Breakfast, Becca P., The Art of Making a Baby, The Memoirs of Megan, With A Red Bird On My Shoulder.